Got A Trade? Got It Made! is a national campaign to raise awareness of the on-the-job training and careers in New Zealand trades and services. It also celebrates the talents and achievements of young people making headway in their chosen vocation. This year, the fourth annual Got a Trade Week is planned for 20 -24 August. Visit the Got a Trade website for more information. Taking a leap of faith into a career as a pipe layer at 19-years-old has certainly paid off for 23-year-old Dylan Samson. Dylan has recently completed his National Certificate in Water Reticulation – Level 3 through Connexis, and is now looking at the New Zealand Certificate in Pipe Installation (Level 4), which will lead him to Civil Trade Certification. 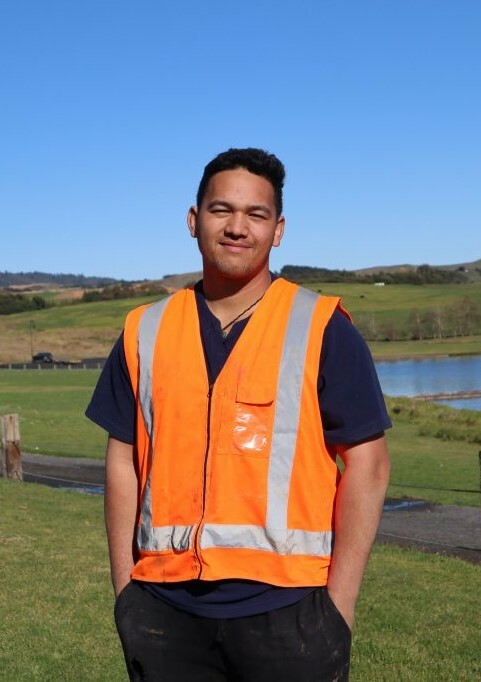 In April of this year, he was named Trainee of the Year at the Civil Contractors New Zealand Waikato awards. It’s taken some hard work and commitment, but Dylan says it is extremely satisfying to have it pay off. Want to get into Industry? Interested in finding out more about the Infrastructure Industries, or how to find your new career path? Then check out the below. Like to find out more about a career in Infrastructure, what Connexis does, or even what an ITO is? Our Careers page answers all these questions and more! New Zealand’s infrastructure industry offers exciting and rewarding career opportunities that can really take you places – up the corporate ladder, out into the countryside, or suspended from a helicopter working on live power lines! Find your new career today on the the Infrastructure Workforce Jobsite. Are you a NZ high School or College student, keen to gain knowledge of the infrastructure industries? Our Gateway programmes will help you achieve this!